Pangu iOS 8 jailbreak failed..? 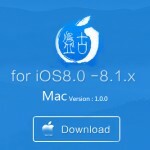 Try with these 100% success..
Home › iOS 8 Jailbreak › iOS 8 jailbreak failed..? Try with these Suggestions for 100% success..
Pangu has released jailbreak with Cydia installer for iOS8 at this time. There is no doubt, one and only Pangu 1.1.0 with latest Cydia installer will get awesome Cydia on your iPhone, iPad & iPod running on latest iOS 8 & 8+. It is simple process, you have to do for jailbreak & install Cydia with Pangu tool. But; some peoples complain, they are unable to complete jailbreak process for iOS 8 on their iDevices. What are the reasons for fail Pangu8 jailbreak? The only markable reason for fail Pangu jailbreak on iOS 8 is OTA (Over-The- Air) update. Usually it will affect Pangu8 a lot and causes jailbreak fail. This can be repair by restoring your device to latest iOS version. In addition, it will cause something, wrong preparation or not prepare your idevice prior to the jailbreak process. Before the start jailbreak, Pangu ask you to do something and better to following those criteria for success. What should you do ..
First of all backup your device using iTunes. Run downloaded Pangu tool on computer–>Connect your idevice to the computer—>shift to the “Restore” tab on left side panel. Then it will be open “Restore via Pangu” window there is a tab–>Select iOS 8.1 firmware to download & remember to tick on “Keep user data during restoration”–>Click on “Start Restore”. Then Pangu continue the job for you. Then, try again with Pangu8 jailbreak for iOS 8 devices. Still not correct?? Please reboot both your iOS devices as well as your computer, and do again.. All finished, it must have done jailbreak your iOS 8 device..